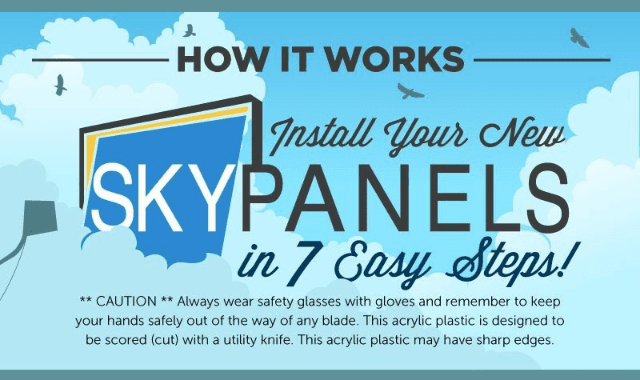 Install Your New Skypanels In 7 Easy Steps #Infographic ~ Visualistan '+g+"
Always wear safety glasses with gloves and remember to keep your hands safety out of the way of any blade. This acrylic plastic is designed to be scored with a utility knife. This acrylic plastic may have sharp edges.